Have you ever tried using a five-year-old computer to get something done? It's frustratingly slow, right? That's because, over time, the operating system decays. During the normal lifespan of a computer, you can expect to install and uninstall dozens of programs, hundreds of Windows updates, and who knows how many registry edits. After all of this is done, your computer is significantly different from when it was fresh out of the box. This process has been called many things: software rot, code rot, bit rot, software erosion, software decay, software entropy, etc. This is simply the process of a computer slowing down over time due to daily use, apps, device driver congestion (one of the tell-tale signs of a device driver problem is a computer that takes forever to shut down), and other system changes. The perceivable difference for you, the user, is longer boot and load times, slower responses, and annoying difficulties with everyday tasks. And it doesn't matter whether you spent $500 or $5000 on the computer, all computers will eventually slow down. This doesn't mean that you shouldn't try to maintain your system, though. There are a number of things you can do to stem the decline of your operating system. Fixing Memory Leaks: some applications have glitches that lead to memory leaks. A memory leak is RAM utilized by the software but never released back to the computer. Restarting your computer kills that process and releases RAM back to the computer to use again. 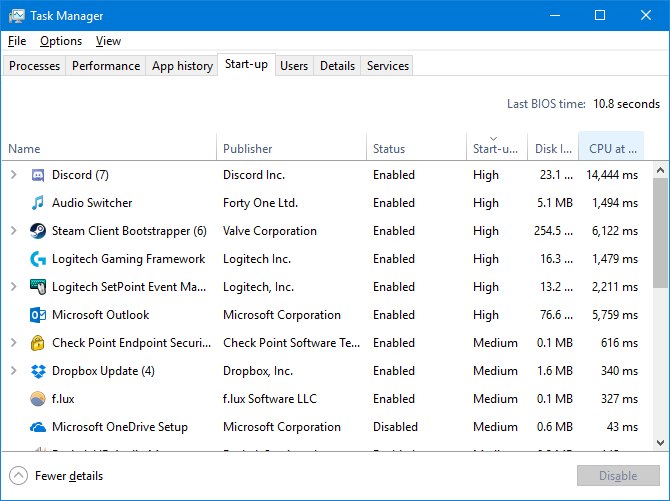 Updates and Diagnostics: by default, your computer receives and installs Windows updates when you restart. If you never or rarely restart, you could be running a computer that lacks important security patches or OS fixes, which leaves your computer vulnerable to viruses. Monitor new programs: newly downloaded programs often try to weasel their way into your Startup menu (Windows) or Login Items (Mac). If you didn't uncheck the box for that permission, you could have dozens of unnecessary programs vying to be ready and running as soon as your computer boots up. Pay attention when installing software and avoid installing browser toolbars, spyware, and other garbage software that can slow down your computer. Free programs, like Adobe Reader, often include add-ons like toolbars or browser extensions. Most of the time, during the installation of the software, an opt-out option will be presented for the add-on. But, lots of people click through without reading, and when they’re finished they discover they have downloaded something they didn’t intend to. Take proper care of your web browser, too. 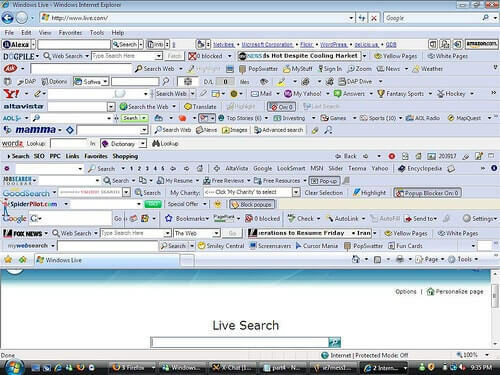 Use a minimal number of browser extensions. If you don’t use a browser extension, uninstall it—it’s just taking up system resources and slowing your browser down for no good reason. Occasionally use tools like Disk Cleanup to remove the temporary files wasting space on your hard drive. Before doing a full reinstall, consider a system optimization. Think of it like taking your car in for a tuneup. During this process, technicians will thoroughly go through your computer looking for spyware, applications that do not need to start, registry errors, and junk data. They'll also remove any unnecessary plugins and update ones that are out of date. They'll also install critical updates to your operating system and make sure they installed correctly. The main benefit of a system optimization over a reinstall is that you won't have to reinstall all of your applications. If your Windows system has slowed down and isn’t speeding up no matter what you do, you should consider reinstalling Windows. Reinstalling Windows may often be a faster way to get rid of malware and fix other system issues than actually troubleshooting and repairing the specific problem. The first thing to do is to backup your data. Then comes the OS reinstall: a blemish-free copy of Windows breathing new life into your computer. This wipes the slate clean and allows the user to start fresh. Then comes several hours of Windows updates and driver installs to get your computer completely up-to-date. Often with pre-built computers such as those from Dell, HP, or Lenovo, a five-year-old computer with a fresh installation of Windows will be faster than when the owner first brought it home from the store. The reason for this is that software companies pay PC manufacturers to install trial versions of their products in the hopes that some of those users will purchase the full software suite after the trial period has ended. The problem with this is that most often this software is junk from square one and that even after the trial period of 30 days is over, the software continues to startup when the computer starts, causing lag and increased boot times. With a new OS install, our technicians don´t include any trial or superfluous software, only what is needed and what our customers will use. So, if you can make a cup of coffee, feed the kids, and make it through all nine and a half hours of Krzysztof Kieślowski's Dekalog, all before your computer makes it to the desktop, then it's probably time for a system optimization or an OS reinstall. And while you could do it yourself, your time is valuable and better spent running your business, spending time with family and friends, and enjoying the little free time you have, instead of dealing with this hassle yourself. Armor Techs has been doing this for over 15 years and are your resident experts at optimizing and breathing life into old computers: we'll do it faster, better, and we have the experience to resolve any problems if there's trouble along the way. Contact us today to get your computer back to health.